On May 21, 2018, six VE firms from Neuqua Valley High School welcomed VEI President Nick Chapman to their VE closing ceremony, where they shared year-end reflections, discussed important program takeaways, and shared student portfolios and company annual reports. Three Neuqua Valley High School students share how the VE program impacted them. Student portfolios are a dynamic way for students to capture and share their newly-acquired work experience. A student portfolio can include a biography, résumé, professional summary, VE company information, and demonstration of the career readiness competencies (Leadership, Professional, Functional, Core Technology Skills) developed during their VE experience. Check out links to the portfolios for four Neuqua Valley High School VE students to use as inspiration to create your own student portfolio. 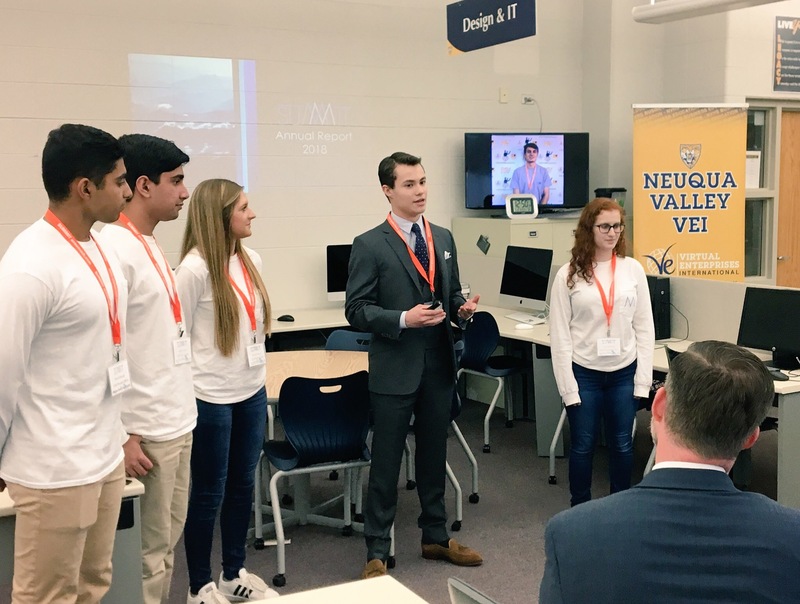 Click on the links below to see what these Neuqua Valley High School VE firms accomplished and learned in the 2017-18 fiscal year.